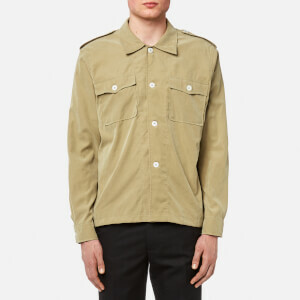 Men’s olive green shirt from PS by Paul Smith. 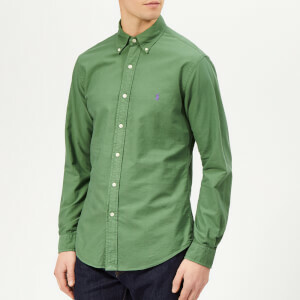 Crafted from textured cotton and cut for a casual fit, the shirt is detailed with two buttoned chest pockets, a curved hem and a pointed collar. Complete with a signature Paul Smith logo tab on the left pocket, button cuffs and a central box pleat on the upper back.